One of the central themes in Yonatan Ron's works is museal spaces. What started as a student job as an art handler in the Israel Museum became a central subject in his works, introducing questions of cultural heritage, holiness, and fascination with objects and spaces. He paints the grandeur of museums on different wooden supports, juxtaposing the grandeur and splendor of the painted spaces with the material they are painted on. In the session, Ron will discuss his choice of subject matters and materials, and the potential that emerges from the unexpected connections. Yonatan Ron graduated from Bezalel Academy of Arts and Design, and works in his studio at the Artists' Studios Teddy Stadium, Jerusalem. 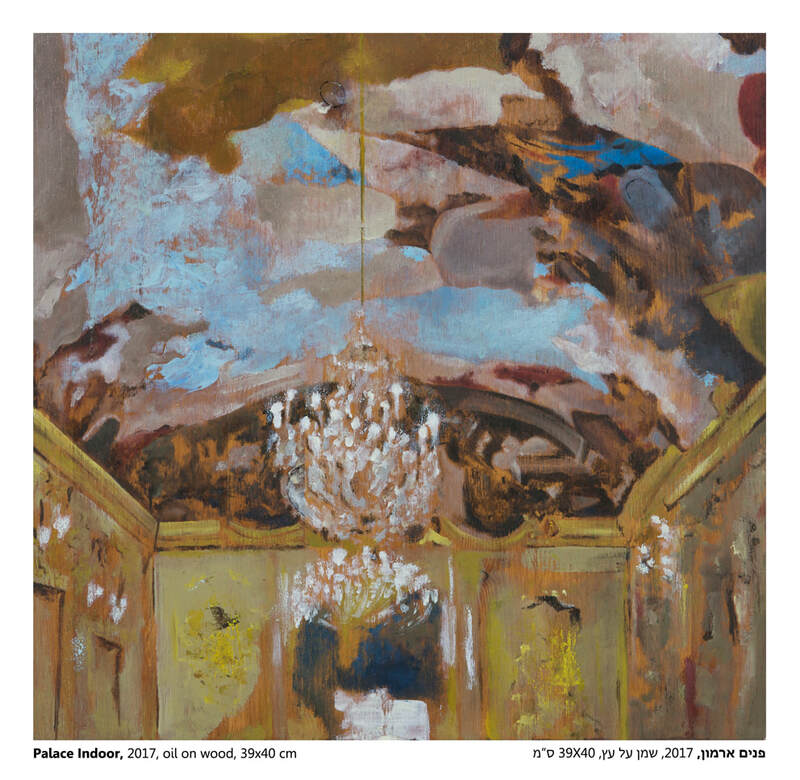 He focuses on painting and print and explores the painterly aspect through an amalgamation of new and old. He uses traditional techniques to paint popular and flat images, emphasizing the dominance of the painting surface.